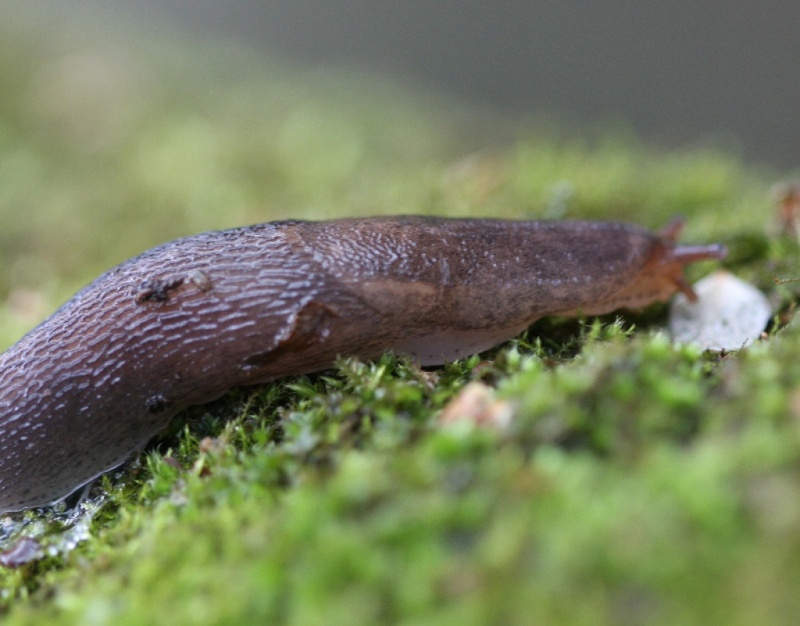 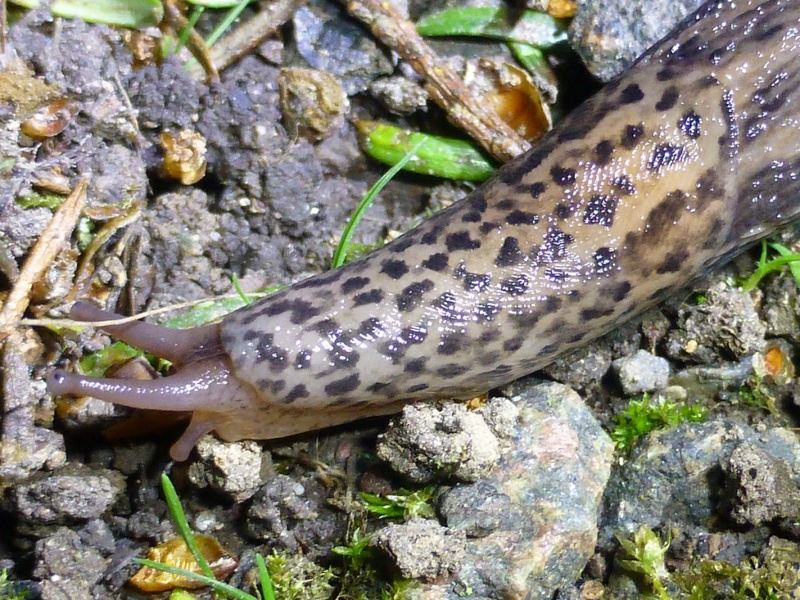 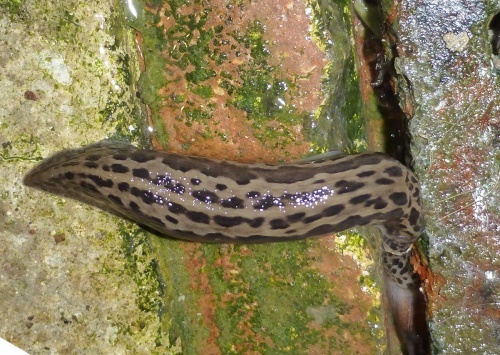 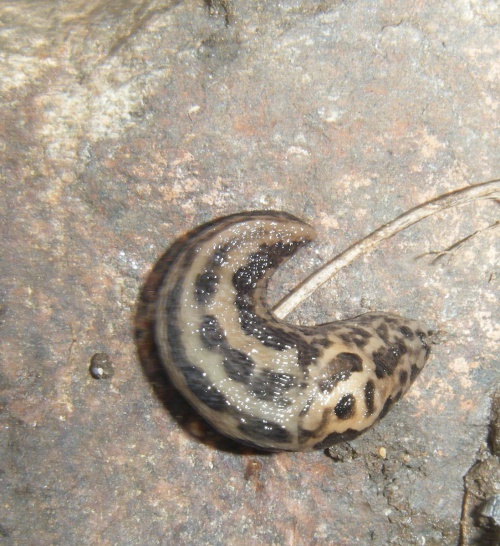 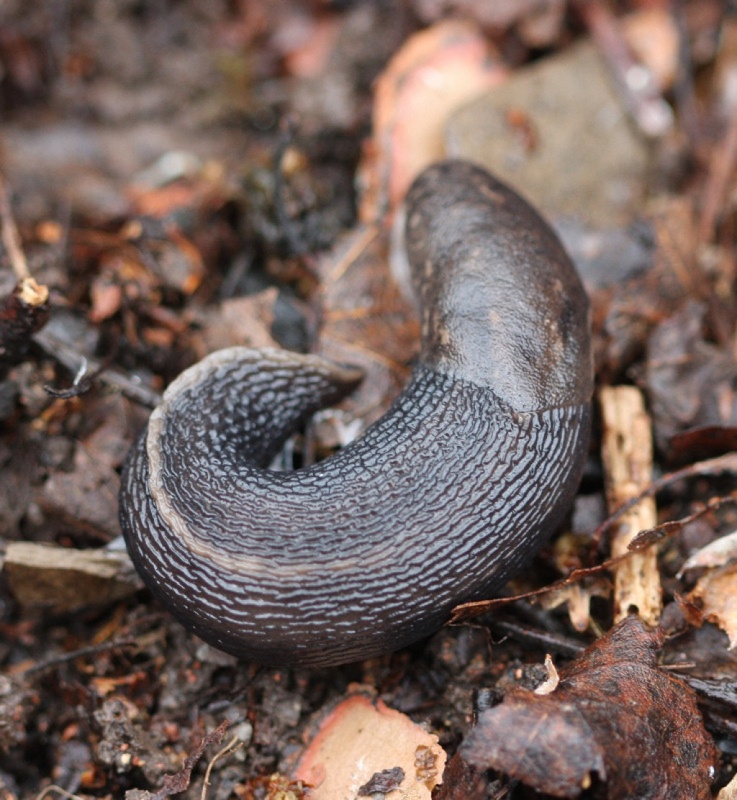 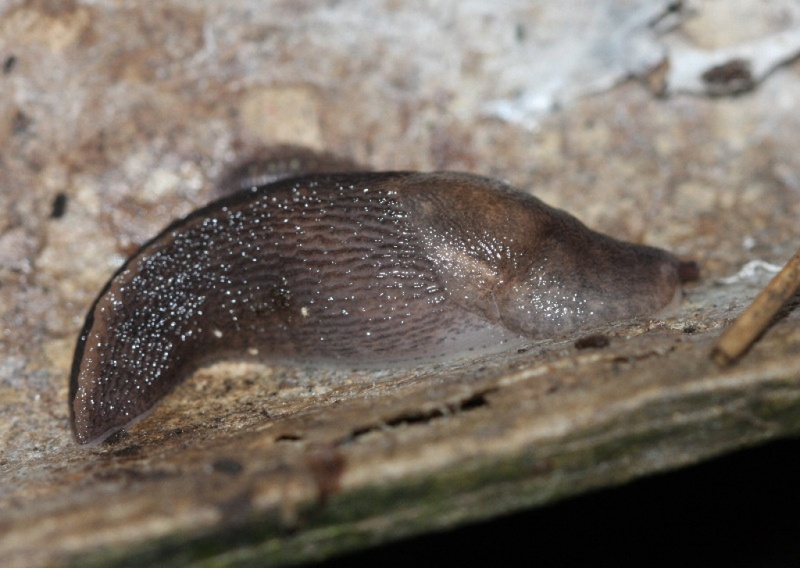 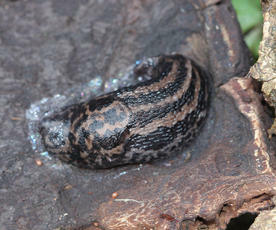 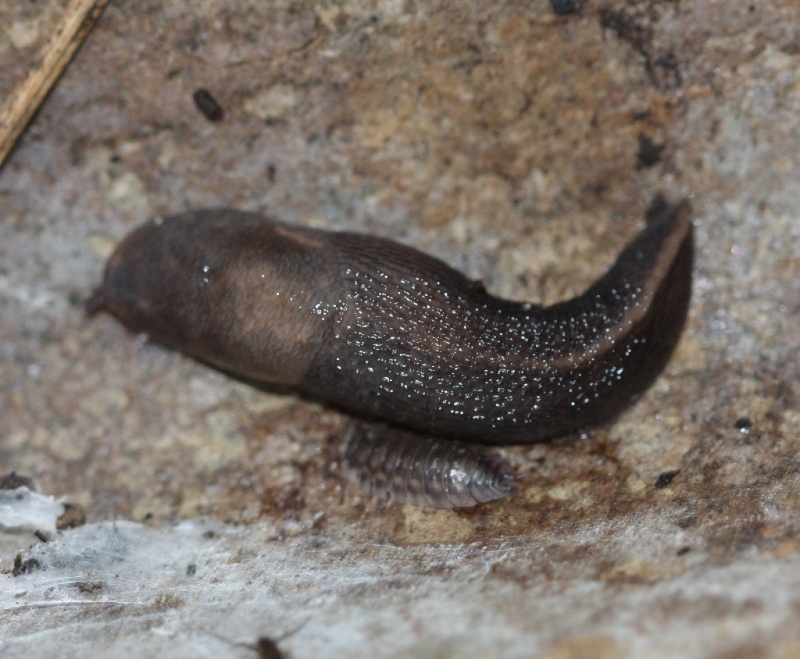 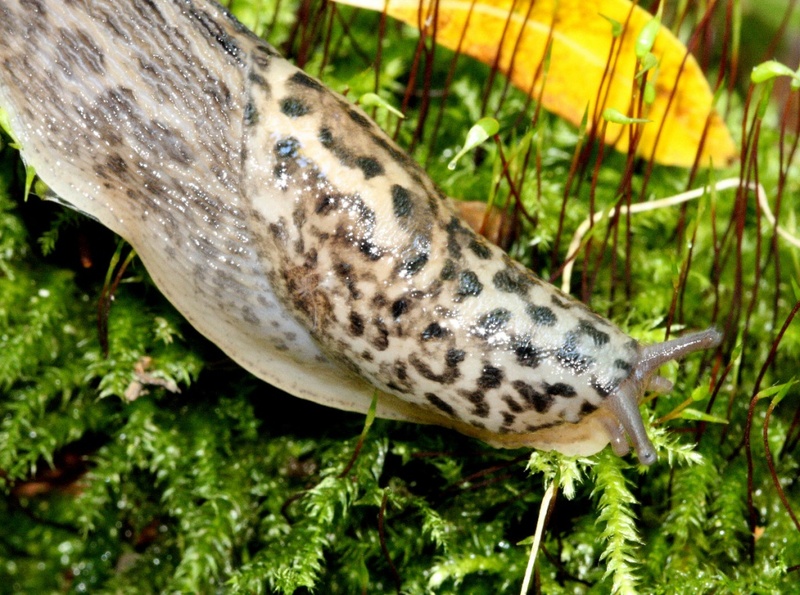 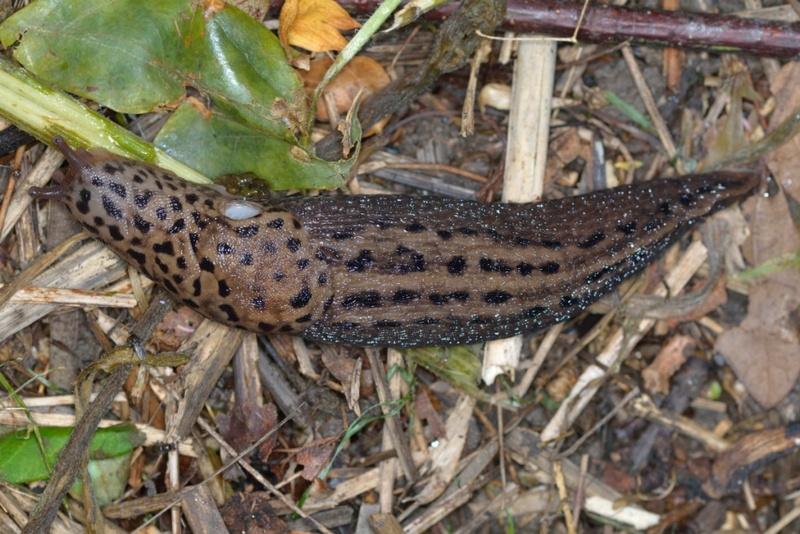 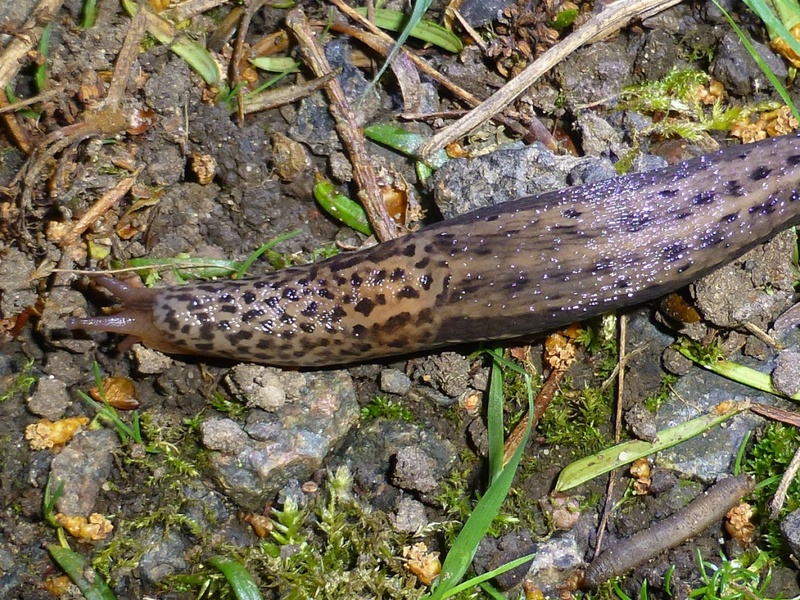 Usually strikingly marked but quite variable, this is one of the largest British slugs reaching up to 150 mm. 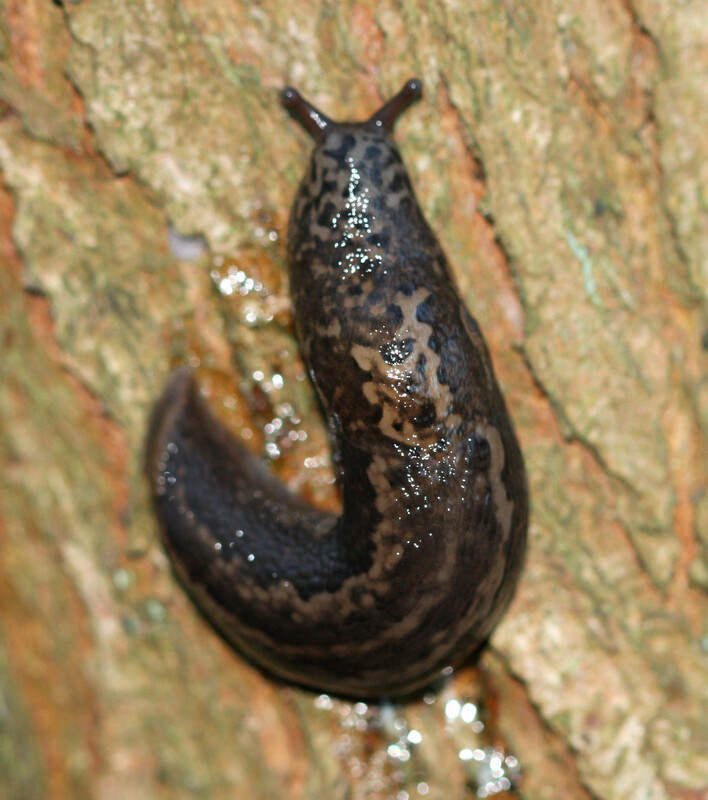 Spots on the back are usually oriented in three longitudinal bands. 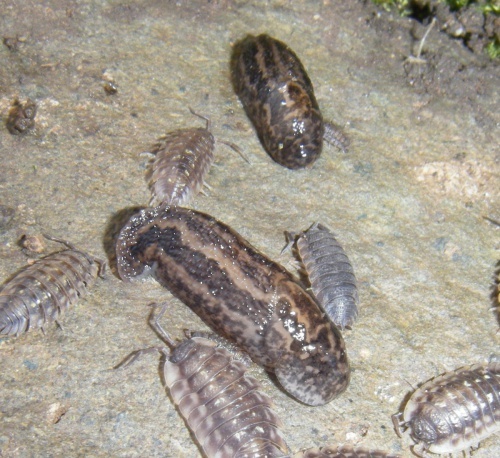 Some specimens, mainly found in woodland, lack most spots and are pale brown. 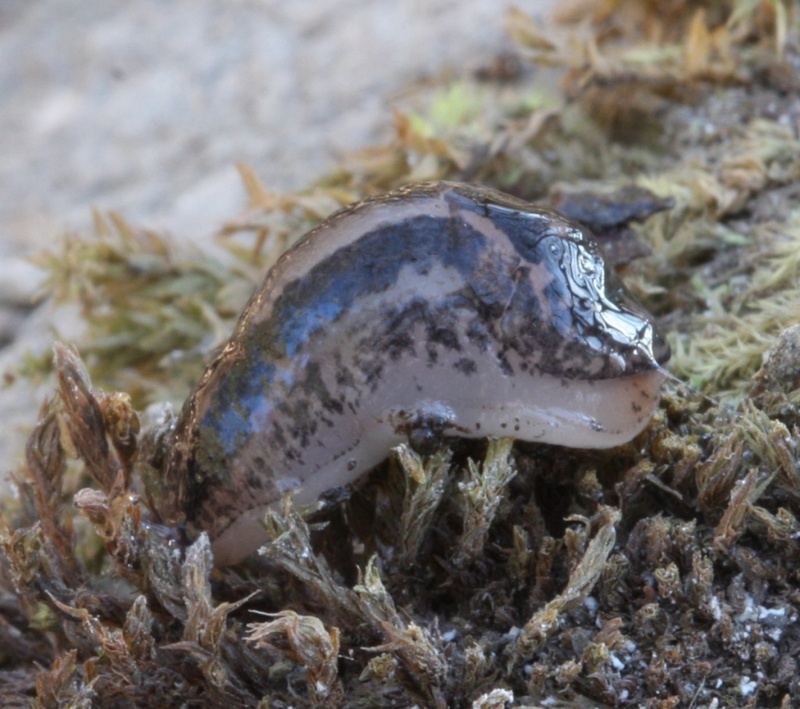 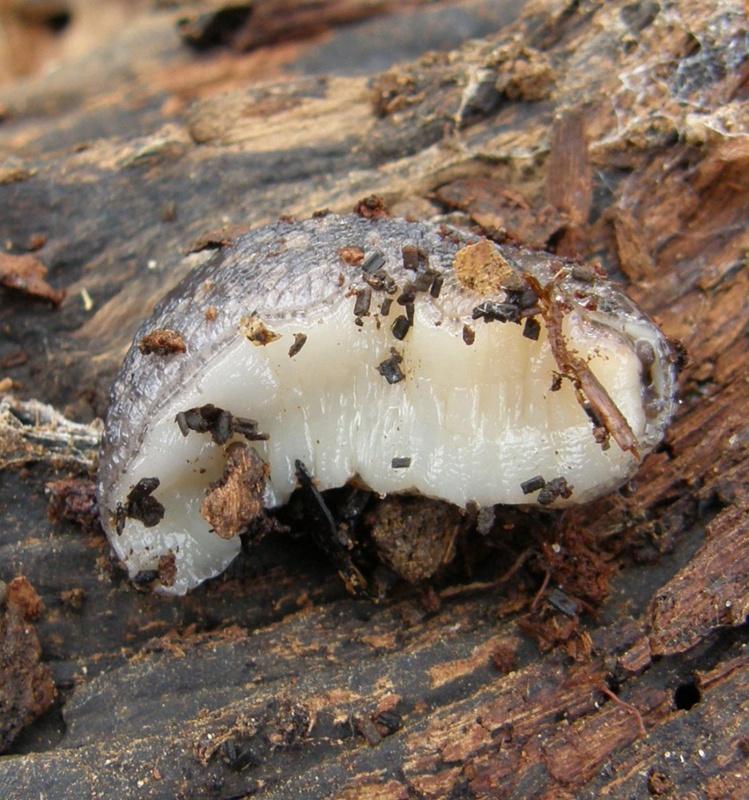 The sole is ash coloured and the mucus is colourless and not very sticky. 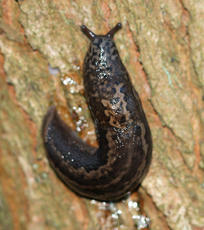 Gardens, parks, well wooded areas and even in cellars. 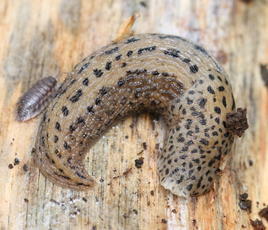 This species is noted for its aerial mating in which the pair copulate while suspended from a mucous string. 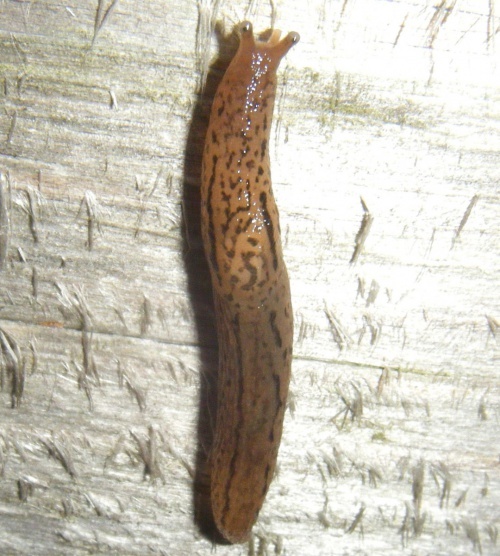 Life span up to 3 years. Common and widespread throughout Britain.